What is next for Zimbabwe’s economy after its historic election? his July, Zimbabwe held its first post-Robert Mugabe era presidential election, nearly four decades after his accession to power. The ruling ZANU-PF party won the 69 percent of the 210 seats in parliament after winning rural voters by large margins. In the presidential vote, Emmerson Mnangagwa, the ZANU-PF party candidate and the incumbent president, emerged victorious from a 23-candidate field, winning 50.8 percent of the vote. The main opposition, the MDC Alliance, challenged the election results, and today the constitutional court upheld the outcome. Support for democracy is strong in Zimbabwe. According to the latest Afrobarometer Survey, 75.2 percent of people “prefer democracy” and an additional 4.7 percent “sometimes prefer democracy.” Additionally, 78.5 percent of citizens think that they should choose leaders in their country through regular, open, and honest elections. Finally, 67.8 percent of people believe that the constitution should limit the president to serving a maximum of two terms in office. Zimbabwe seems to be regaining the trust of international investors and foreign governments. 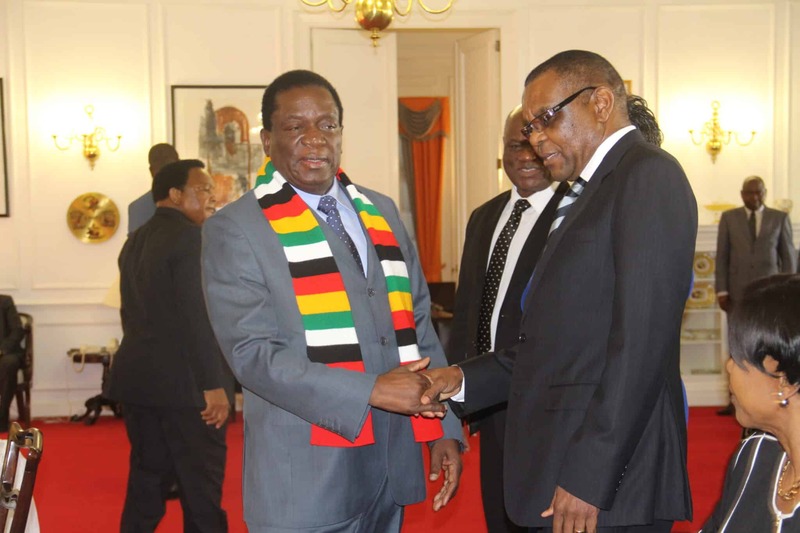 The country has attracted an estimated $16 billion in investments since Emmerson Mnangagwa took over in November 2017. Development partners are also collaborating again. The Indian government will provide a $310 million soft loan for the rehabilitation of the Hwange Thermal Power station and the CDC and Standard Chartered will provide $100 million in lending to new businesses. Recently, the U.S. government renewed the Zimbabwe Democracy and Economic Recovery Act (ZIDERA), which requires that the country make credible progress towards holding free and fair elections, restore the rule of law, and ensure military subordination to the civilian government. The Government of Zimbabwe needs to increase accountability and accountable governance, and convince the U.S. government to repeal ZIDERA. With the sanctions bill in place, Zimbabwe cannot access loans or guarantees from international financial institutions without the approval of the U.S. government. The renewed legislation also requires that U.S. representatives at multilateral organizations not support any efforts to address Zimbabwe’s debt situation. As of February 2018, Zimbabwe still had debts of $1.15 billion at the World Bank, $601 million to the African Development Bank, and $3 billion to Paris Club countries. The government needs to re-engage diplomatically to get the sanctions lifted as they restrict business, its ability to borrow from international organizations, and resolve its debt situation. Zimbabwean officials continue to look to engage U.S. officials with the Foreign Affairs and International Trade Minister, Dr. Sibusiso Moyo, telling reporters that “we are determined to continue in the re-engagement with the U.S. administration, as we together seek to restore our bilateral relations to normalcy.” In order to regain access to international capital markets Zimbabwe must repay its debt arrears to major foreign lenders. Other necessary reforms include repealing the chilling media laws—including the Access to Information and Protection of Privacy Act (AIPPA) and the Public Order and Security Act (POSA)—which restrict the media environment and promotes self-censorship. Additionally, the government must align current laws with the constitution. Addressing the cash shortages must be a priority for the government. Zimbabwe desperately needs an influx of foreign cash to resolve the currency crises and spur economic growth. The country has not had a currency of its own since it dollarized in 2009 because of hyperinflation. In the long term, Zimbabwe needs to have its own currency. In 2016, the Reserve Bank introduced “bond notes”, a substitute currency that locally has the same value as the U.S. dollar. Bond notes were meant to alleviate the shortage of U.S. dollars in the system—this, however, had the opposite effect by further increasing the demand for U.S. dollar. As highlighted earlier, President Mnangagwa has attracted significant new investment to Zimbabwe since last year. However, the country continues to face chronic cash shortages that are holding back economic growth. In recent months, businesses raised prices as they struggled to find U.S. dollars to conduct business. Beyond reforms, President Mnangagwa can send positive signals to foreign lenders and investors by tackling corruption, and appointing reputable and accountable technocrats to manage the economy. Indeed, the window of opportunity has narrowed considerably since the post-election violencethat followed a peaceful vote. President Mnangagwa said there would be an independent investigation into the post-election violence. Some hope and goodwill remains; however, actions taken in the next few months will determine whether Zimbabwe is breaking with the past.